Another Space originates, develops and manages projects at the heart of the community. It originally formed in the Highlands of Scotland to carry out archive and oral history work based on the Twentieth Century industrial landscape in and around Invergordon and the Cromarty Firth. Stories emerged that connected this far flung area of Scotland (let alone Britain) to events concerning the Spanish Civil War, the First and Second World Wars on land, sea and air, and refugee stories from World War Two Czechoslovakia all the way through to Kosovo in the 1990’s. Close to the site of the 1746 Battle of Culloden, the location forever linked to the final demise of the Jacobite cause, a moving connection was discovered with the MS St.Louis and the story of the Jewish passengers who embarked from Hamburg in 1939 and who were refused entry to Cuba (despite having legal permits to enter) and who, after a tortuous journey, eventually returned to Europe. Many of the passengers did not survive the ensuing Holocaust. Another Space relocated to the Lake District and continued its work through a chance connection with the Cromarty Firth through the Short Sunderland Flying Boat. The discovery of a former wartime Sunderland factory on the shores of Windermere brought forward once again the name of the remarkable Wing Commander Derek Martin. Derek had collected the first Sunderland completed at Windermere and taken it to begin its duties at Pembroke Dock in 1942. A little later in the war he became the commander for the OTU Flying Boat base at Evanton on the shores of the Cromarty Firth, the place where Another Space had begun its journey in the 1990’s. 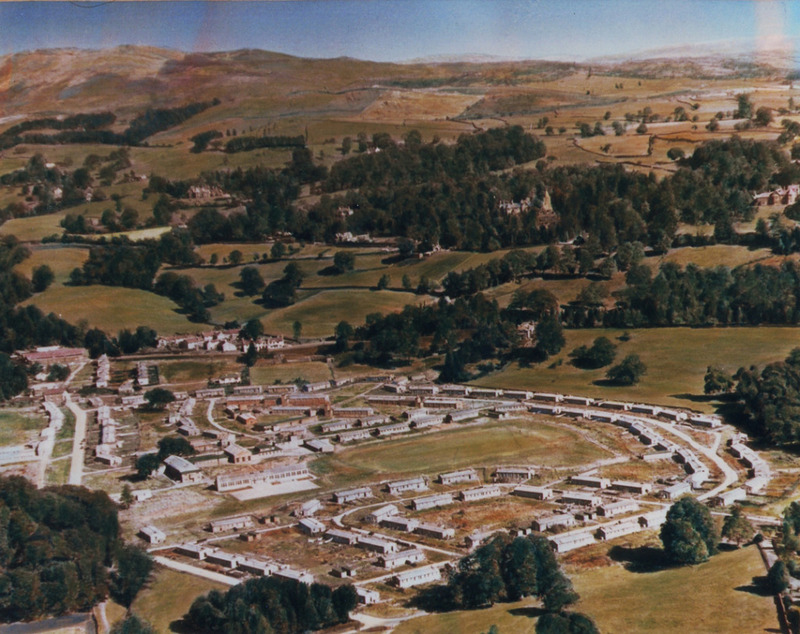 The Windermere Short Sunderland story was developed through Heritage Lottery Fund oral history and archive work alongside local expert Allan King, and this led to a much closer examination of the workers housing scheme called Calgarth Estate that was built to house the workforce for the factory. The estate was located at the gloriously named Troutbeck Bridge near Windermere village. 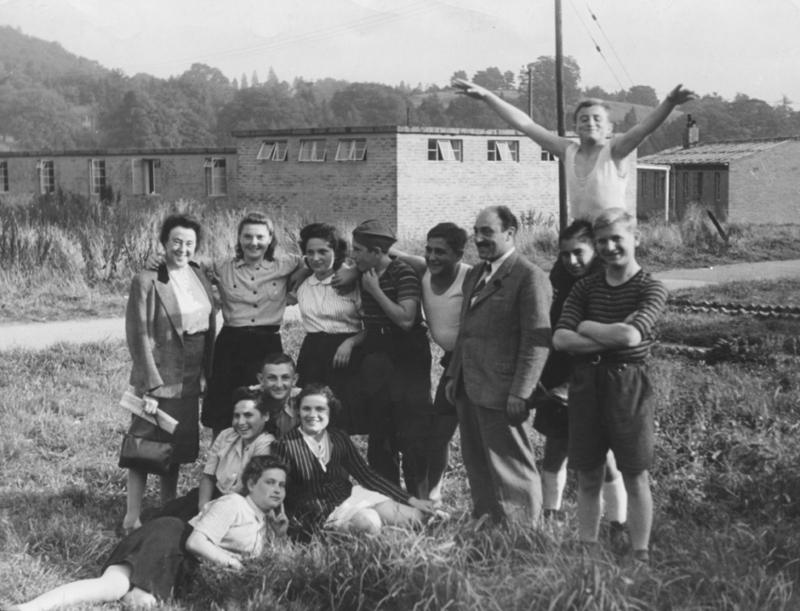 The story of the inhabitants of the village led to the rediscovery of the powerful story of the arrival of three hundred Jewish children who had survived the Holocaust and who had arrived directly from the horrors of Eastern Europe to begin new lives in Britain. This was again a very striking coincidence given the work we had carried out in the Highlands regarding the MS St. Louis. The “Windermere” children were to begin new lives on Calgarth Estate amongst the families and workers from the Sunderland factory. The story and oral history of this hugely important connection between Windermere and the Holocaust was captured thanks to Heritage Lottery Fund once again and interviewees from both the local community and from the Jewish community were interviewed throughout 2007 and 2009 in order to capture the thoughts and history from the child survivors and from those who remembered them in the Lakes. The story and work did not end in 2009. A BBC One television programme about the children broadcast in 2010 used archive material from the Another Space project. After the programme was shown in April 2010, there was public demand to have an exhibition that told the story and where people could find information about the locations in the Lakes area. This has since become a permanent exhibition in Windermere and the establishment of the Lake District Holocaust Project. Visitors from around the world already attracted by the Lake District now visit a life enriching story of survival against unimaginable cruelty and suffering. An oral history interviewer and recorder is always on hand in Windermere to interview any of the Jewish children who visit the exhibition. Sadly fewer in numbers nowadays but still welcome, along with their families many of whom now travel to see where their father or mother (grandfather, grandmother!) stayed in the Lakes. In 2013 and onwards we have continued the story by interviewing the residents of Droomer Estate in Windermere (built to rehouse the inhabitants of Calgarth Estate when it was demolished in the 1960’s) and Second Generation survivor families. This will ensure that the story is without end and is not simply consigned to the history books. For us working in Windermere, we are surrounded by descendants of the Calgarth residents and are in constant touch with the children and grandchildren of the child survivors. Oral history is both history and ever present for us and we are fortunate to be able to actually engage with “what happened next?”, which is the most common query from visitors to the Lake District Holocaust Project exhibition. The Holocaust Commission Report was published on 27 January 2015. The Commission was set up to “examine what more should be done in Britain to ensure that the memory of the Holocaust is preserved and that the lessons it teaches are never forgotten”. In the Report’s Executive Summary the Lake District Holocaust Project was cited as one of a small number of “significant regional exhibitions” where “in all places commemoration is informed by learning, with profound results…….. The Lake District Holocaust Project has a highly respected exhibition at Windermere Library. Auschwitz to Ambleside describes the story of 300 child Holocaust survivors who arrived in the Lake District in 1945″. The Lake District Holocaust Project is managed by Another Space and is based on the First Floor of Windermere Library, where you will find the acclaimed exhibition “From Auschwitz to Ambleside” on display all year round during library opening hours.